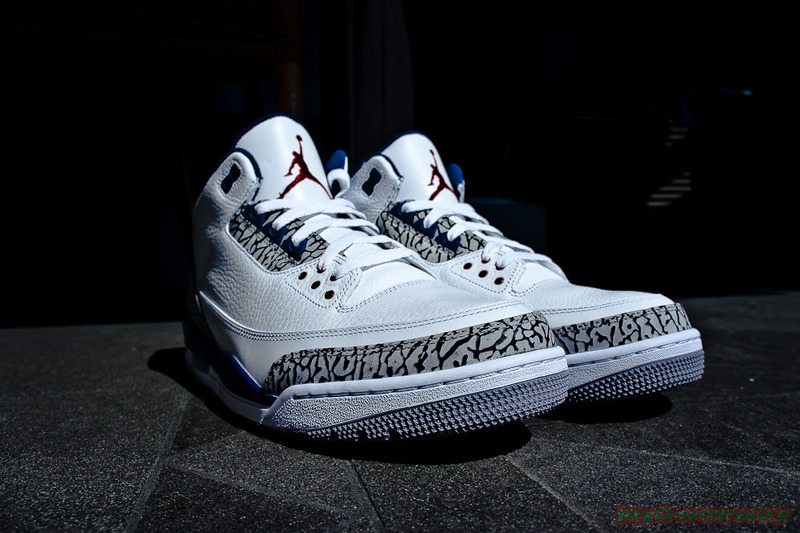 After leaving us hanging in '09 with an international-only release, the Jordan Brand has finally released the 'True Blue' Air Jordan Retro 3 in the U.S.
Fittingly enough, SC Forum member trueBLUEE picked up a pair of the 'True Blue' Air Jordan Retro 3. This past weekend, the Jordan Brand answered the prayers of many collectors and finally released the 'True Blue' Air Jordan Retro 3 in the United States. Releasing for the first time in the U.S since 2001, the 'True Blue' Retro 3 has been one of the most coveted Air Jordans of the past 10 years. Releasing nationwide as a general release, fans couldn't have been any happier to finally get their hands on a pair, or even two pairs for the dedicated collectors. Receiving nothing but praise from the fans, the return of the 'True Blue' Retro 3 was everything we'd expected it to be. Releasing almost identical to their originals and packaged in an OG-inspired box, Jordan heads couldn't have asked for more. Were you one of the many collectors to pick up a pair? Or did you make the tough decision to pass on these classics? Either way, share your thoughts on the True Blues in the comment section below, as part of our latest Release Recap feature. Also - enjoy several photos of the True Blue's, as provided by our loyal SC Forum members. 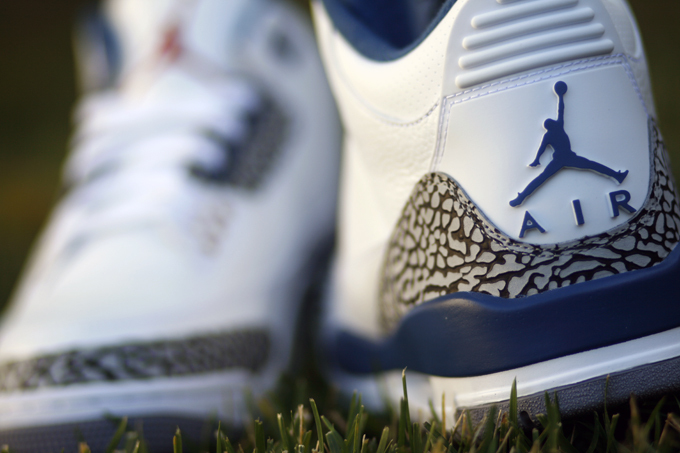 Smeezy33 provides us with a great shot of the 'True Blue' Air Jordan Retro 3. 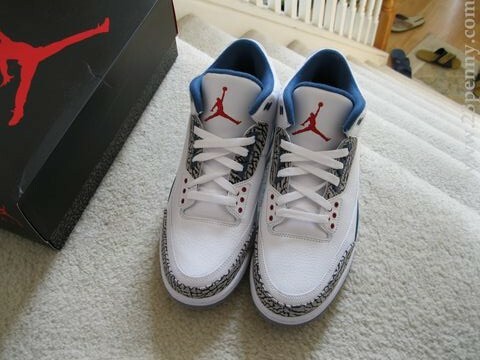 Zyr12's 'True Blue' Air Jordan Retro 3. 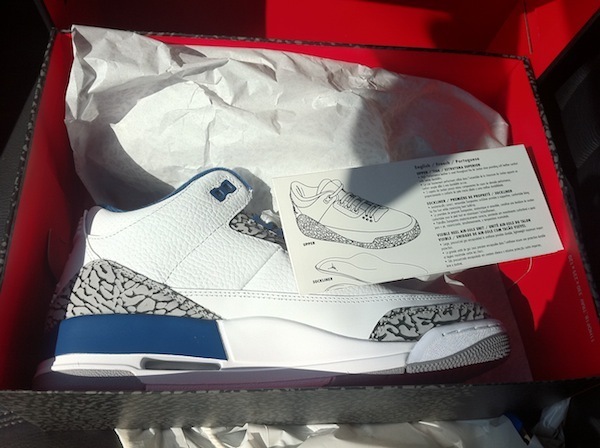 Dgaf's 'True Blue' Air Jordan Retro 3. 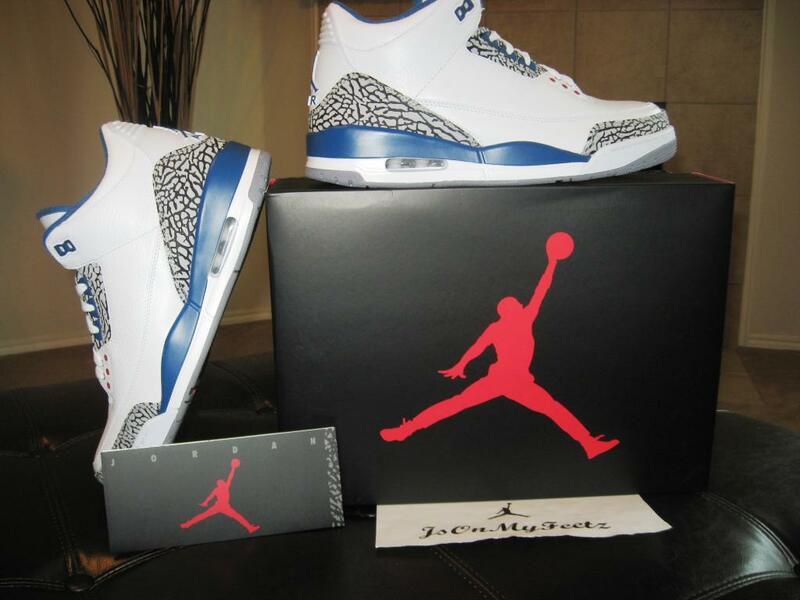 JsOnMyFeetz gives us a look at the entire package included with the 'True Blue' Air Jordan Retro 3.